I covered The Sounds for Inland Empire Weekly, and ended up covering the band for Skinnie Entertainment Magazine a few months later. These guys are really great people to hang out with, and we ended up getting drunk and partying a couple of times. 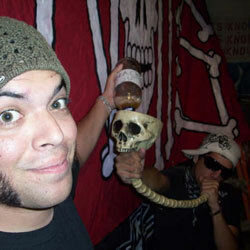 Southern California punk rock, especially bands working with local producers like Dr. Strange of Dr. Strange Records. 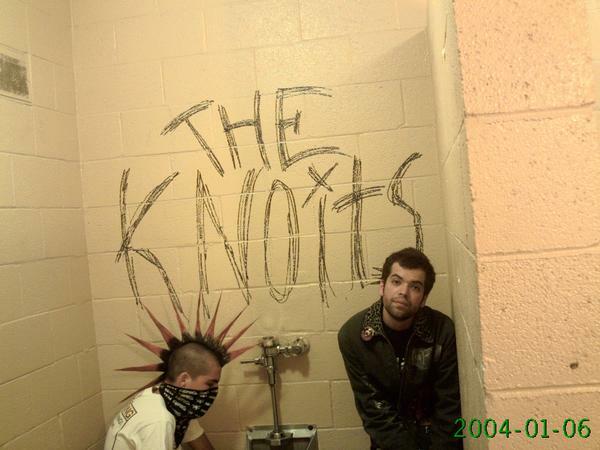 The Knoits are a punk band straight out of Southern California, made locally famous after fighting their way to the semi-finals during the annual Battle of the Bands at the Chronic Cantina in the City of Upland. Exhausted by the flaky antics of the rest of their group, brothers Sal and Marvin Oyarzabal kicked them out to make a two-man band, with Sal on guitar and lead vocals while Marvin handled the drums. With nothing pulling them back, they’ve gone forward ever since. The music is solid where it counts and gritty where it needs to be, delivering punches and hooks with vocals that remind one of the light of good times with bros and the dark of the urban sprawl. 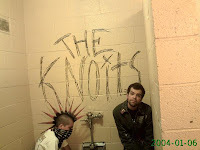 After only two-and-a-half years, the band already has serious credentials, citing influences like Minor Threat, Bad Brains, Operation Ivy, Lars Henricksen and the Bastards, Guttermouth and Seven Seconds. When Eddie Casillas of the legendary Voodoo Glow Skulls tapped them on the shoulder to record their music, the two went straight to the studio and have been hard at work ever since. Their latest album, Drunk Murder, is an album you must possess if you value modern punk. Your only hope is to hit up www.myspace.com/knoitskillkids and be somewhere near Riverside, Fullerton or Escondido when next they appear.